BlackBerry DTEK50 and DTEK60 have received official price cut in several key markets across the globe, including the US, Canada, the UK, as well as mainland Europe. In the United States, the BlackBerry DTEK50 is now available for $259, down from $299, while the bigger sibling, DTEK60’s price is slashed to $449, a $50 cut from its regular $499. As for the UK, the handset is available for £255 and £442, a discount of £20 and £33, respectively. The handsets comes with a decent set of specifications on board. 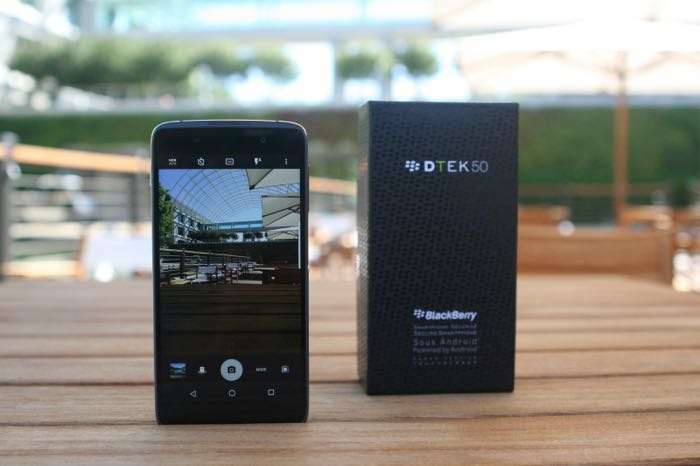 The BlackBerry DTEK50 comes with a 5.2-inch display sporting a resolution of 1920 by 1080 pixels with the processing handled by Qualcomm Snapdragon 617 processor paired with 3GB of RAM and 16GB of built in storage as well as a microSD card slot for expansion, as well as a 13MP/8MP camera combination and Android Marshmallow out of the box. As for the DTEK60, it comes with a 5.5-inch QHD display, a Snapdragon 820 processor, 4GB of RAM and 32GB of internal storage. Other features includes a 21MP camera for photos and videos, an 8MP front-facing camera, a 3,000 mAh battery and ships with Android 6.0 Marshmallow. Now that the prices of the handsets have fallen, anyone still interested in picking up the Android powered handsets from BlackBerry?